Verizon has also provided a handy instruction sheet for updating your device, though the update is – as yet – still listed as "coming soon." The process should be familiar – just hit settings > About Phone > System Updates > Download. 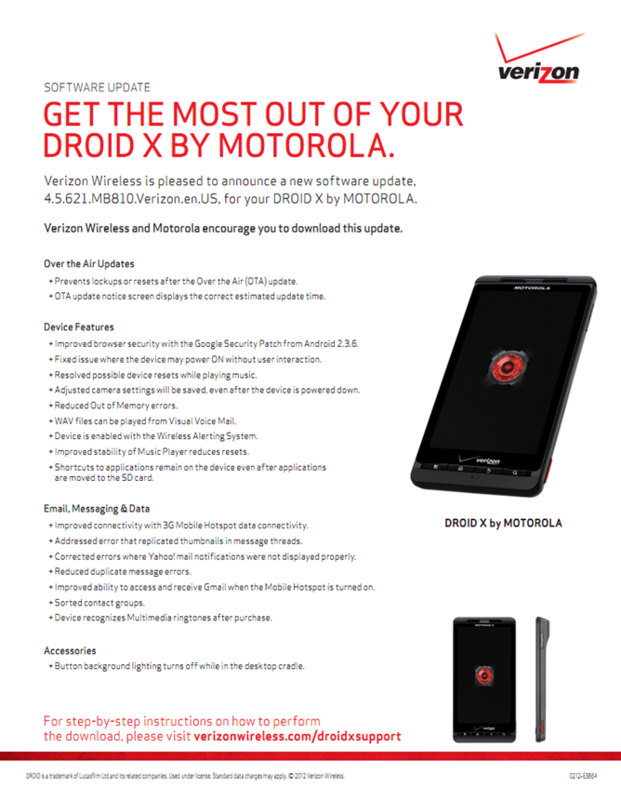 Verizon advises that the update should only take about 5-15 minutes to download the 15MB update, meaning users won't have to wait too long to bring several handfuls of improvements to their Droid X.